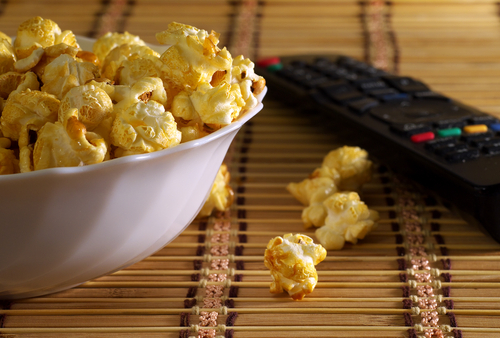 Whether you like to watch live sports games, play video games or kick back and take in a movie or streaming show, you need quality audio visual equipment. a home theater AV receiver makes a big difference in your ability to hear the full range of sounds and view a crisp picture on your TV. 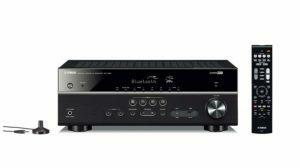 If you are on a budget, you can still find many different makes and models of quality AV receivers under $300. These receivers offer multiple inputs and outputs. Take a look at these 10 best budget home theater five-channel AV receivers under $300. This Yamaha receiver features powerful surround sound for an immersive audio experience. For video input, it uses HDMI and HDCP, with four in and one out. This receiver supports 4K ultra-high definition image quality. It comes with a remote that works at a distance of up to 30 feet away. You can also control the settings and functions manually on the LED display of this efficient receiver. With this Sony receiver, you can enjoy high-quality video with 4K HDR and compatible Dolby Vision. Connect any Bluetooth streaming device to it and watch any show. 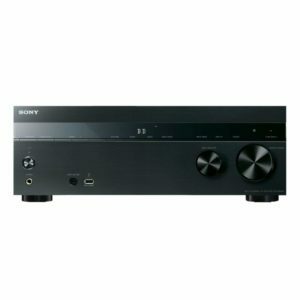 For sound, this receiver has a built-in FM tuner, Sony’s proprietary Force PRO front surround sound, Dolby True HD and DTS HD Enhanced Audio Codecs for your listening pleasure. Four RCA inputs, one digital, one coaxial and one headphone jack round out its features. 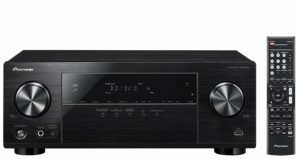 The Onkyo receiver offers Dolby TrueHD and DTS-HD Master Audio for a theater-like sound experience. It accepts HDMI and HDCP input and output. For audio streaming, it provides Qualcomm aptX Audio and Bluetooth for watching shows on any device or from any streaming service. With 155 watts per channel, you can turn up the volume without hearing buzzing sounds. This receiver measures 522 mm wide by 247 mm tall by 430 mm deep. When you want a simple receiver that is easy to set up, this Sony is a great choice. It does not have a lot of bells and whistles, but it offers all of the functionality that you need in order to connect an HDMI, coaxial, digital or headphone input or output. This receiver also supports high-resolution file playback via USB. For video quality, it provides 4K pass-through with your compatible TV. Connect it to your iPhone or iPad. When you like to access media from a lot of devices, this is the receiver for you. It features built-in Bluetooth for connecting with streaming devices. You can pair it with your iPhone or iPad in order to stream content. It also has a USB connection for file playback. This home receiver is also compatible with HEOS Link for wireless music streaming. Setting up this receiver is simple because of the setup wizard that works with your TV. It supports 4K video quality. This Pioneer receiver delivers power and performance. For your listening pleasure, it offers Dolby TrueHD and DTS-HD Master Audio. It drives your surround-sound speakers with 155 watts per channel at 6 ohms, 1 kHz and an THD of 10 percent. Use its built-in Bluetooth to stream audio from your compatible devices. When you watch a video, this receiver synchronizes the sound. It supports ultra-high density video. This receiver comes with a remote control and features an LED display. 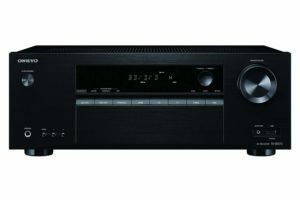 With 100 watts delivered over five channels, you can experience optimal sound quality with this Yamaha receiver. It features HDMI with 4K Ultra HD pass-through for optimal resolution of video. On the front face plate, you will find its headphone jack and USB digital connection for iPod and iPhone devices. The extra bass function optimizes the low notes even if you have small speakers. Its ECO mode operates on 20 percent less power, saving you money. The slim receiver fits in most TV stands or audio cabinets. Enjoy super-high definition to videos, movies and live television with this receiver’s HDMI connection that supports 2160 pixel or 4K resolution. The built-in Bluetooth allows you to pair it with any device and stream the content or music of your choice. There are two mic inputs, an AM/FM radio tuner, an MP3/iPhone input and three AUX inputs. It also provides you with four HDMI inputs and one HDMI output. 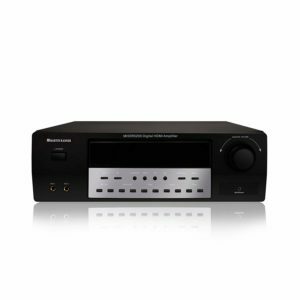 With 300 watts of output power, this receiver delivers the ultimate listening experience. If you need speakers and a receiver, this is a wise choice. 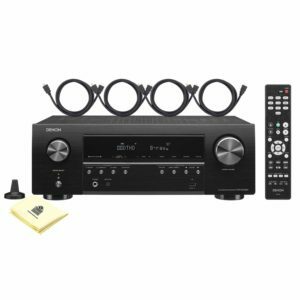 This Onkyo package has six analog speakers and 120 watts per channel at six ohms of resistance when operating at 1 kHz. It also supports Ultra HD 4K/60 Hz, video formats and HDCP 2.2 content protection for your videos. The slim speakers fit on a shelf, in a cabinet or on the floor. 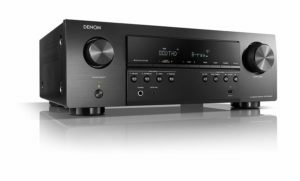 Enjoy the crisp and clear images delivered by this Denon receiver, which has 4K Ultra HD resolution. Built-in Bluetooth facilitates streaming from any compatible digital device. Use the four included HDMI cables to connect your video equipment. This receiver also includes a polishing cloth and a remote control for convenience.